The Spector is our newest competition vest designed with the extra impact protection that professional and aspiring cable riders are looking for. The Spector features a Liquid Force exclusive, "Impact Armour”, and a new Uni-body pattern designed to provide maximum range of motion. "Impact Armour" is a double layered sandwich of impact absorbing foam combined with a protective polymer shield. The Impact Armour panels are light, thin, and flexible giving the rider more protection without sacrificing comfort or range of motion. 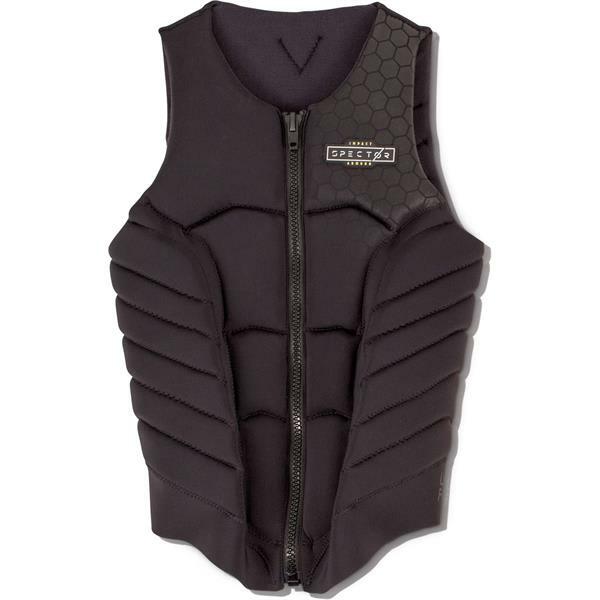 The Spector’s armour panels are located in key areas needing protection from hard impacts on rails or water, specifically the rider’s upper chest and spine area. 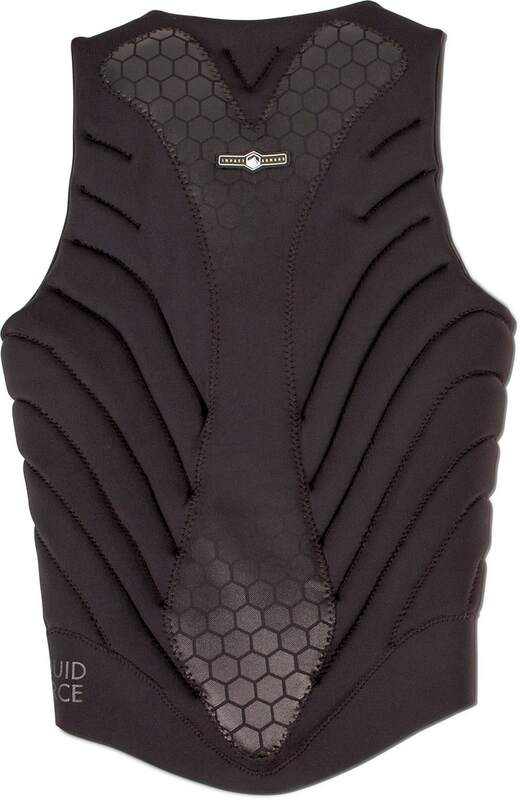 The Liquid Force Spector also features a unique seamless one-piece Uni-body construction for the shell and liner fabric. Inside and out there are no seams to snag, rub or interrupt the flex. 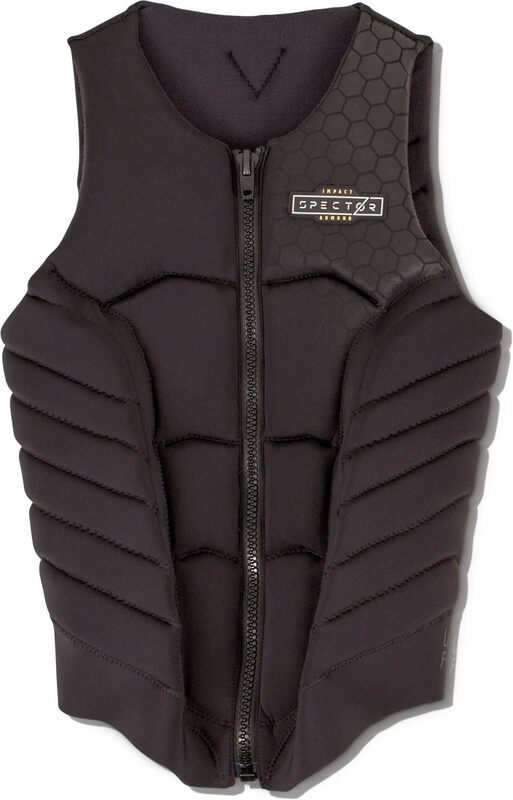 The new design of Spector’s foam panels provides extra flex space for shoulder blades to move naturally without restriction.